Babymonkey has updated their Fabulously Free in SL group gift to the lovely wedges as shown below for Slink, Maitreya & Belleza!! Categories: FabFree Group Gifts, Free, group gifts, groups, mesh, shoes | Tags: 0L free, baby monkey, fab free, fabfree, fabulously free in SL, free in sl, group gift, second lfie freebies, Second Life, Second Life Free, sl, sl free, SL Freebies | Permalink. It’s hard to believe how close we are almost to December. To celebrate the beginning of the holiday season, Baby Monkey is giving out a special group gift to their members. All you’ll need to do is be a member of the group (it’s only 20L to join). 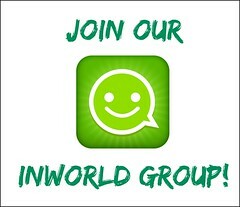 Join the group by pasting secondlife:///app/group/56b559e4-74aa-2b4a-deeb-7c5d4517fe3a/about into your local chat and then check the group notices for the gift. Notices expire after 14 days, so be sure to hurry to get this beautiful Olive Wood Nativity from Baby Monkey. One thing that really resonated with me about this beautiful gift from Baby Monkey is that it can speak to many people. As said in the beautiful little note that was included with the gift: “If you are not a Christian we think this is still a charming family group that speaks to the enduring love of parents for their child.” This is a gift that is for all families, not just those who celebrate Christmas. The lovely sculpture come in at just 2 prim and is also modifiable if you want to make it larger. Currently it is tabletop size. Categories: furniture, group gifts, groups, Home & Garden, mesh, other, Uncategorized | Tags: 0L, Astrid (Portia Swords), baby monkey, child, fab free, fabfree, fabulously free in SL, free, free fashion sl, free in sl, free sl, freebie, freebies, freebies sl, gift, gifts, group gift, nativity, parents, sculpture, Second Life, sl, wood | Permalink. Happy Friday Fab Free! 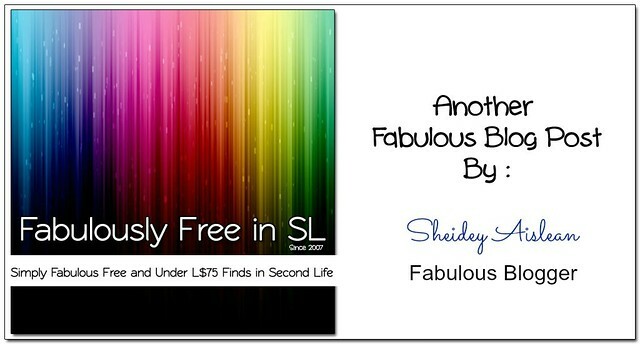 I’ve been lucky, my weekend started early which means more time for my Fabulously Free in SL family. It also means I had a little extra time to check out this weeks designer of the week, Baby Monkey. The Baby Monkey shop is probably best known for their shoes, however they also have quite a bit of ladies and some mens fashion, and accessories. You may recall seeing their most recent Fabulously Free in SL exclusive group gift in Astrid’s post “Paradise and Leaves.” More on that in a moment. The Baby Monkey shop has a nice, easy to navigate store with a pretty center courtyard. I like this shop setup up quite a bit because it’s easy to use your camera to see where you are and where you want to go next. In what you could call the main part of the store you’ll see a desk with a few little FREE gift bags sitting on it. These fun little freebies are FREE to everyone. Each of the 4 bags has something interesting or useful for anyone, such as an ankle lock, or tummy takers, one even has a ton of recipes inside. Next to the desk is a teleporter that lets you jump to an individual department for easy shopping. Also in this same room you’ll find the Baby Monkey group gifts. The Baby Monkey group is just 20 lindens to join at this time and there are current and previous group gifts available. In addition to the numerous Baby Monkey group gifts, you’ll also find a few other group gifts, including the previously mentioned Fab Free exclusive gift. 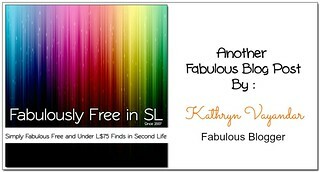 Remember, the Fab Free gift requires the Fab Free group tag, the Fab Free group is always FREE to join. Needless to say the Baby Monkey shop has something for everyone, and for just about any occasion. 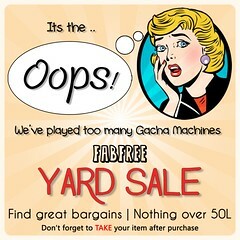 Don’t miss out on these great freebies and cheapies! Happy weekend and have fun shopping! Categories: accessories, dress, FabFree Group Gifts, FF Designer Of The Day, formalwear, Free, group gifts, groups, jewelry, mens, mesh, other, pants, shirt, shoes, skirt | Tags: baby monkey, boots, Designer of the Week, Exclusive Gifts, fab free, Fab Free Designer Friday, Fab Free in SL, fabfree, fabfree in sl, fabulously free in SL, Fashion Freebie, Fashion in SL, FFDF, free, free fashion, free gifts, Free Group Gifts, free in sl, Free Shoes, Freeibes, gifts, group gifts, Second Life, sl, SL Freebies | Permalink. Baby Monkey was the main inspiration for my look today, as I picked up three great gifts from there. Two were store group gifts, and one was the latest FabFree group gift, offered exclusively for FabFree group members. Pru has been showing off some amazing sunglasses in her posts here and here and so when I saw that Baby Monkey had out a cool pair of shades as one of their group gifts (the group is only 20L to join) I was hooked! I had to get in on the deal. These Paradise Sunnies have a cool set of palm trees on the lenses which reminded me summer here as the last of the season will fade into fall. The other really terrific group gift from Baby Monkey was these Connor Floral pumps. You get heels to fit TMP, Slink, Maitreya, and Belleza feet, plus a texture change hud with 12 colors for the shoe and 4 colors for the heel. That’s a lot of shoe! Top it off with hair! As usual, KoKoLoReS remembers us with a monthly group gift of beautiful hair! This month is Lilibeth and comes with a texture change hud of natural colors. I like the pretty over the shoulder style and the braid at the crown. It looks both dressy and casual at the same time. There is a one-time join fee of 250L for the group, but the creator is excellent about setting out a monthly gift for members, making this a group worth joining. Categories: accessories, FabFree Group Gifts, fitted mesh, Free, group gifts, groups, hair, mesh, other, shirt, shoes, Uncategorized | Tags: 0L, Astrid (Portia Swords), baby monkey, Catwa, Catwa Tumble, fab free, fabfree, fabulously free in SL, fashion, Fashism, fitted mesh, free, free fashion sl, free in sl, free sl, freebie, freebies, freebies sl, gift, gifts, Glam Affair, group gift, hair, heels, Ikon, JellyRoll, Kokolores, maitreya, Maitreya Lara, MESH, pumps, Second Life, shirt, shoes, sl, sunglasses, texture change, tucked top | Permalink. Bring out the big bands! Or at least the street performers and a good guitar 🙂 I’m ready for some music in this snazzy get-up I found! If you haven’t checked Baby Monkey for group gifts lately, now is the time to stop by. The group has a one time join fee of 20L, but there are three really nice group gifts out, including this Striped Beach Dress which I couldn’t resist. The colors are just fantastic! The Hair Fair is still going! I made another stop at the Hair Fair; this time at the opposite end, and visited the other side of the available sims. Exile has a free gift out that includes a style for both men and women (see guys, you aren’t left out after all!) and I struck gold with this free fatpack of hair called Evie. You’ll want this cute style for yourself! Categories: dress, events, fitted mesh, Free, group gifts, groups, hair, mesh, Uncategorized | Tags: 0L, Astrid (Portia Swords), baby monkey, Catwa Tumble, dress, Exile, fab free, fabfree, fabulously free in SL, fashion, Fashism, free, free fashion sl, free in sl, free sl, freebie, freebies, freebies sl, gift, gifts, group gift, hair, hair fair, Ikon, Lumae, maitreya, Pure Poison, Second Life, sl, SLink | Permalink. A new summer outfit is always a great thing, especially when it’s something colorful and pretty and has a little bit of lace. I love this pretty yellow lacy top I found with the matching shorts! For just 1L and a little hunting time as part of the Summer Hunt, you may want it too! Look for the Beach Ball! I stopped by Prism and hunted around for the beach ball (as per the clue), and when I found it, I also found the beach ball that was the little item I could buy for 1L. I was rewarded with this Milan Citrus outfit package! It includes the shorts and top. The top comes in the lacy version as well as a more modest version that isn’t see through in the lacy parts (not shown). You’ll get all the standard mesh sizes as well as a fitmesh size for both the top and the bottom. Categories: fitted mesh, hunts, mesh, pants, places, shirt, Uncategorized | Tags: 1L, Alice Project, Astrid (Portia Swords), baby monkey, catwa head tumble, dollarbie, fab free, fabfree, fabulously free in SL, fashion, Fashism, free sl, gift, gifts, Glam Affair, hunt, Ikon, Krystal, maitreya, outfit, Prism, Second Life, shirt, shorts, sl, summer | Permalink. Hey FabFree-ers! Head on over to Babymonkey, and pick up their brand new Fabulously Free in SL group gift, just for us – The Chinese Satin Pencil Skirts with a texture change HUD as shown below! Categories: FabFree Group Gifts, Free, group gifts, groups, mesh, skirt | Tags: 0L FabFree, 0L gift, baby monkey, fab free, fabfree, FabFree group gift, fabulously free in SL, free in sl, freebies sl, group gift, Second Life, Second Life Free, sl, sl free | Permalink. The Baby Monkey Group costs 20L to join and to add the Else dress to your collection you’ll just have to pay the vendor 1L before getting an instant refund. Use that dollar to snap up the other current group gifts at the store as well (past group gifts cost 10L each). Speaking of eye-catching colors, the Aishas set from Legendarie certainly fits the bill very well. These lovely fuschia heels and matching clutch bag are a free gift for everyone, meaning that you don’t have to use up group slots or tap any sub-o machines to get your hands on them. There was no way I could pass up on these flirty strappy slingbacks (only made for Slink high feet, however) and the fact that there’s a matching clutch thrown into the mix just sweetens up the pot. There are two different versions of the clutch bag included in the gift package, one worn on your avatar’s hand and the other worn higher. You’re able to move, rotate and stretch the clutch and permissions are set to copy so do make backups before editing. I’m not sure how long this pretty gift will be out for so get it ASAP. Legendarie is a generous store that set out free gifts fairly regularly so I would recommend putting it on your ‘must watch’ list. 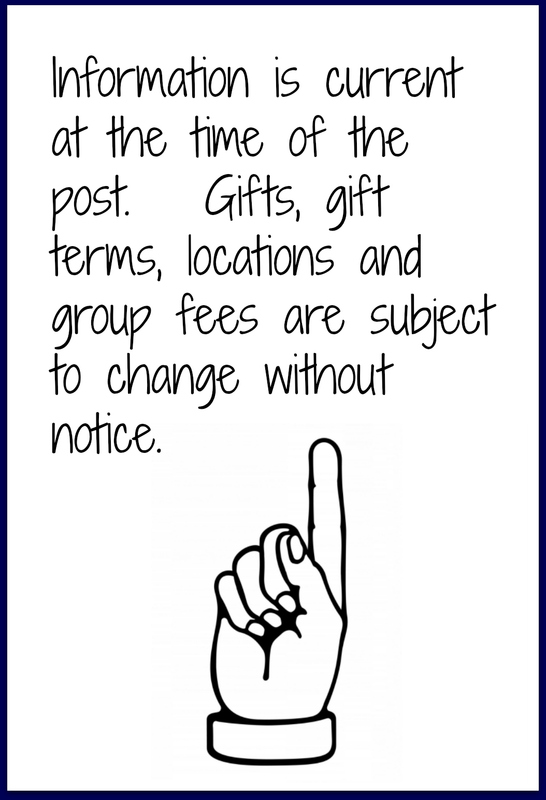 Though there’s a 99L group join fee there are tons of past gifts to pick up at the store. Hairbase appliers for Catwa, Lelutka and mesh heads using the Omega system. The Liaison Collaborative’s birthday round is running until the end of the month so go and snap up your gifts if you haven’t already. And that’s a wrap. I’ve got my keys right here and I’m pretty sure I haven’t left the stove on. 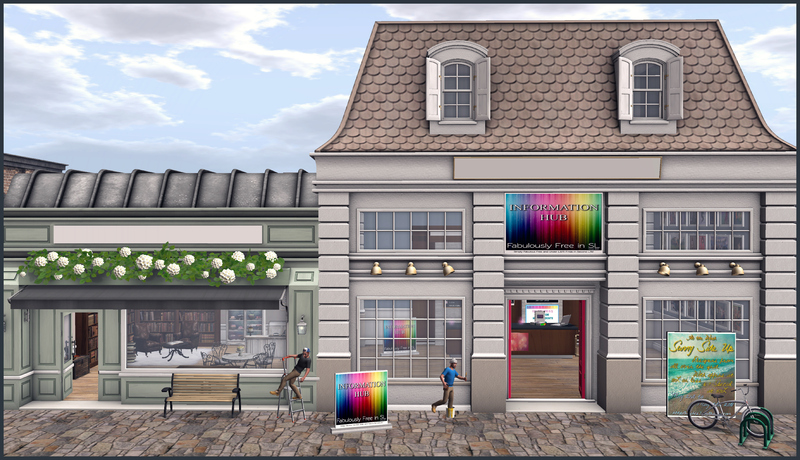 Time to hit the grid and take a peek at those Fifty Linden Friday offers. Happy St Patrick’s Day! I’ll catch you guys later! Categories: accessories, dress, events, Free, group gifts, hair, shoes | Tags: 0L, baby monkey, dress, EMO-tions, fab free, fabfree, fabulously free in SL, fashion, Fashism, free, free fashion sl, free in sl, free sl, freebie, freebies, freebies sl, gift, gifts, group gift, Legendaire, Second Life, sl, SLink, The Liaison Collaborative | Permalink.